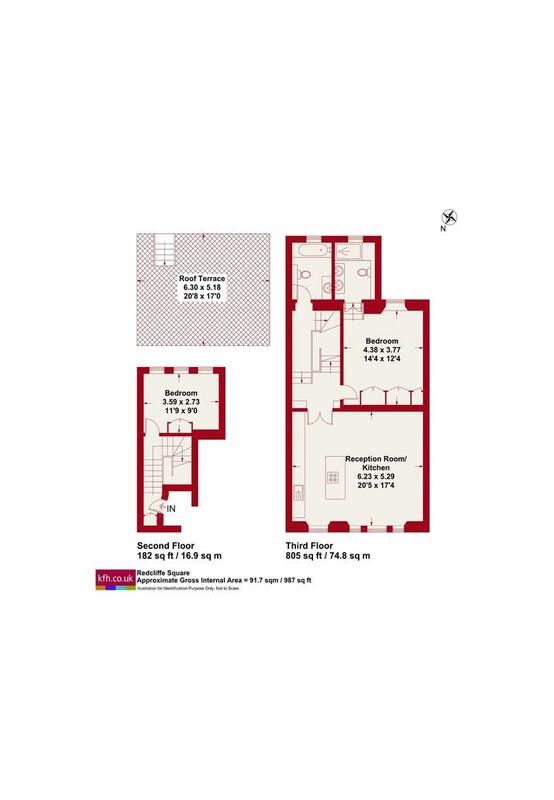 Impressive split level two double bedroom flat to rent. Boasts two well proportioned double bedrooms, with built in wardrobes in both bedrooms, two bathrooms one of which is a luxury en-suite bathroom off the master bedroom. 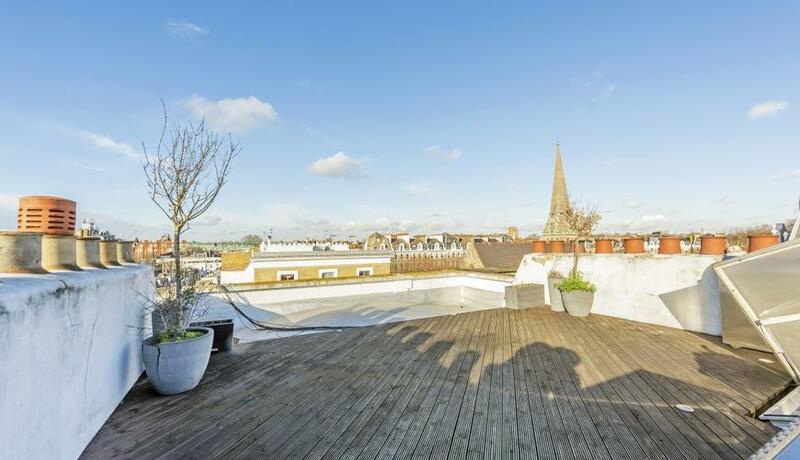 Arranged over the two upper floors with the flat entrance is on the second floor leading up to the up to the third floor and access to the large private roof terrace with panoramic views over Redcliffe Square and Chelsea. With a spacious living room with beautiful wood flooring and modern fully fitted open plan kitchen with a centre island breakfast bar. Ideally located on a beautiful garden square in Chelsea, a short walk away from both West Brompton and Earls Court stations and amenities. Offered furnished and available soon.